The Gowanus Canal was constructed in 1848 to facilitate industrial maritime operations in South Brooklyn, and the corridor surrounding the canal quickly developed as a thriving manufacturing area primarily reliant on barge service. However, by the 1950s, major highway construction including the Brooklyn-Queens Expressway and the Gowanus Expressway encouraged freight transportation of goods rather than barge or water transport. By the 1970s, the area began to decline as industrial businesses left the area. This in turn led to a job loss and subsequent population decrease. However the industrial business community has reinvested in the area significantly in the past ten years. The Gowanus Canal corridor is an area that has grown, and continues to grow, as a productive, jobs-generating center of economic activity. The maritime industrial community along the Canal has also experienced a significant increase. 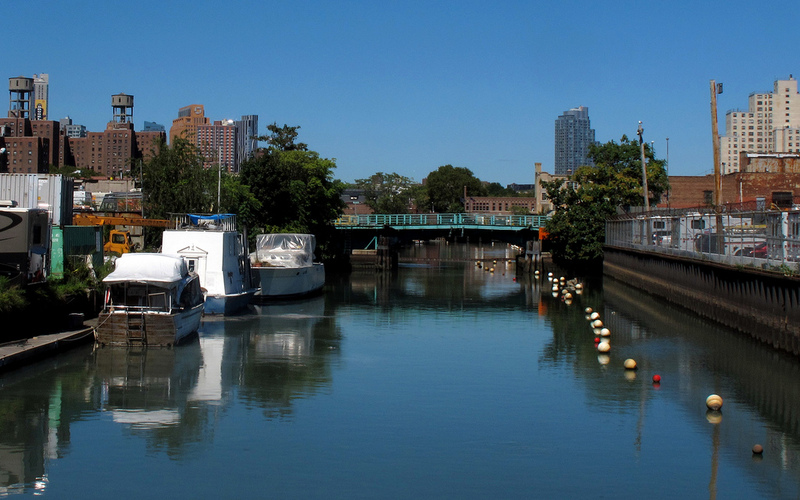 The Gowanus canal is vital for the continued success of their businesses. Business in the area moves approximately 2.5 million tons of product on the Canal each year by barge. Together, barging activity on the Canal and Gowanus Bay removes roughly 105,500 trucks from the road each year, which not only decreases congestion on our roadways, but allows industry to operate in a more environmentally friendly way. In 2000, 23% of Gowanus’s population was involved in blue collar industries: construction, manufacturing, natural resources, wholesale trade, transportation, warehousing, and utilities. In 2010 that number had fallen to 15%. Meanwhile, the percent of residents working in information (e.g. information technology, publishing, telecommunications, etc.) increased from 4.3% to 9.5%, and in education and health care from 18.5% to 28.5%. Sources: US Census 2000 Social Explorer: Tables1, 8, 93; US Census American Community Survey 2006-2010: Tables 113, 25, 57, 49, 97; US Census 2010 Social Explorer: Tables 1, 54; US Census Local Employment Dynamics, 2002 and 2011 as cited in Gowanus BOA Nomination Study 2014.